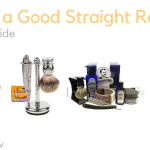 Those of us who own straight razor shaving kits will tell you right off the bat: there is no better shaving experience. 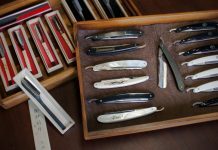 The heart of the set, the razor itself, is where the experience comes from, but do not underestimate the importance of the whole set; the strop, the brush, the soap, and in some sets, the case and/or hone. 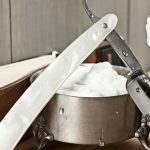 Shaving with a straight razor is a luxurious thing, like driving an expensive car, eating fine food, or soaking in a hot bath. So you should understand how essential it is to get the complete experience. You wouldn’t get an expensive car and fill the tank with water, or eat gorgeously cooked food with plastic cutlery would you? I didn’t think so. 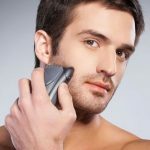 Now that you understand why you need more than just the razor, let’s take a closer look at the other essential items. Though this isn't the cheapest set, it's the best bang for buck by far. Every one of the 5 pieces is a quality item. 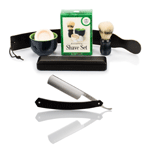 It's suitable for beginners and veteran shavers alike. 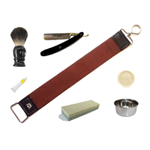 A razor strop. 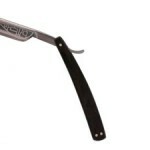 If you want to keep your blade sharp, this is essential. 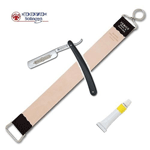 Learning how to strop is not too difficult. 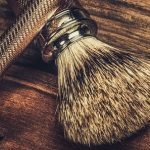 Shaving soap. 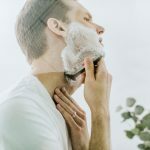 The difference between your average store bought shaving foam, and good quality soap is actually bigger than you may realize. 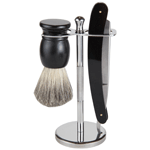 Shaving brush. Use it for turning the soap into a nice lather, and apply it evenly over your face. 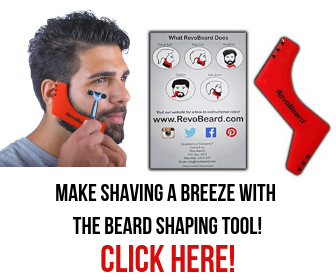 It will be much more economical and enjoyable than using your hands. Just think “luxury”. Travel case. I wouldn’t base the decision on which one you buy on whether or not it comes with a travel case, but if it does, then more the better. Honing stone. 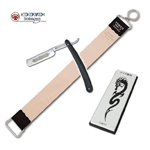 Sometimes the set will come with a whetstone for sharpening the blade (needs doing every few months). I do think everybody should learn the art of honing at some point. 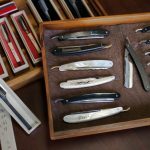 However, most whetstones that are included in shaving sets are not the best quality, and beginners definitely don’t want to worry about them. 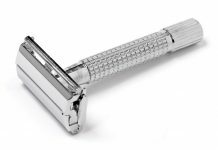 You can view a good selection of razor sets here, and I’ll quickly give a rundown of the best three within their respective price ranges. 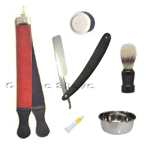 “Haryali Fashion Beginner’s Set” – Tailored to beginners, and the Fromm blade is of reasonable quality too. 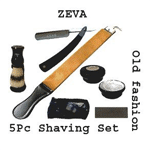 “Dovo Full Set” – Dovo blade with assured quality, even comes with a case. 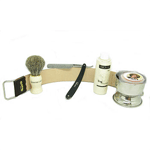 “Country Uncle Straight Shaving Set” – Looks beautiful, top quality components. Luxury. 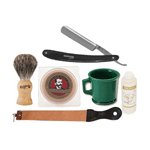 The most important thing is ensuring you get a good quality blade, and decent accompanying items. You want this set to last you a long time after all. It’s always good to have a backup blade though, so if you want to save a bit on buying the set, you could go for this one, which comes with an “acceptable” blade. Then you can invest in a better quality blade to use as your main. Of course, you can always view individual items and piece together your own set. 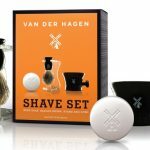 This will make sure you get everything you want with your set, but will ultimately cost you more. 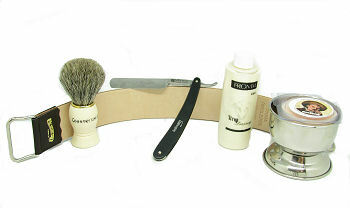 I suggest beginners looking for their first straight razor shaving kits just stick to a ready-made one. 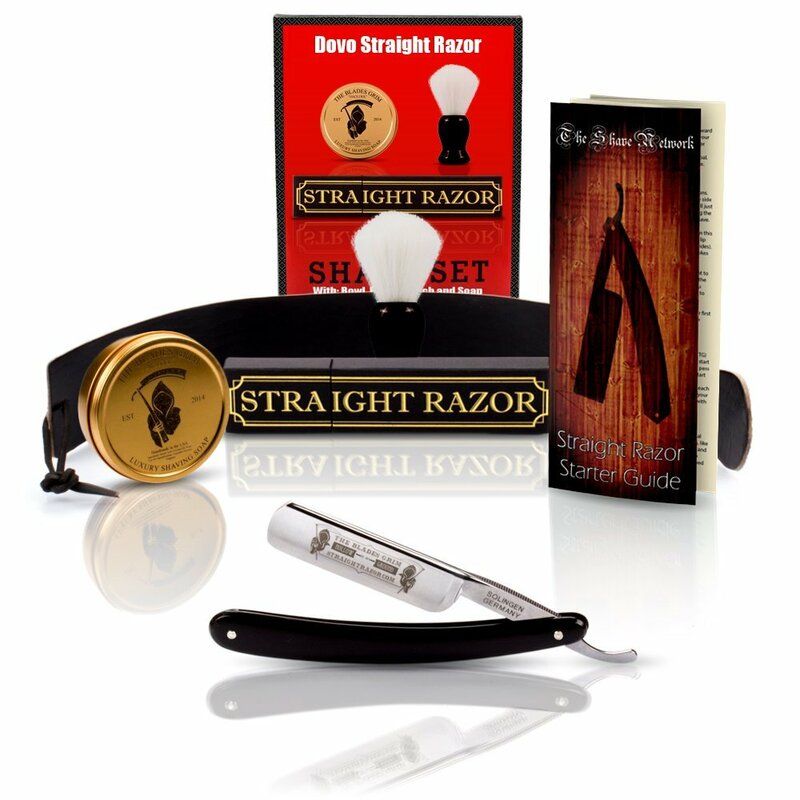 Do you own a straight razor shaving kit? Let us know below! 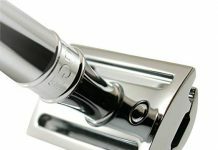 We would love to hear your thoughts on quality, value, and even your recommendations.